The human brain is an amazing piece of machinery that controls, processes and stores everything we think, say or do. It runs every function in our body whether we are conscious of it or not. When part of our brain is compromised through stroke or acquired brain injury we are able to grasp just how much the brain is relied upon for daily operations. Brain injury, caused by traumatic impact, stroke or disease (such as Parkinson’s) is known to impair several areas of cognitive function in victims. Many injuries result in impairment of speech and language processing, impairment of physical abilities, impairment of cognitive processing, loss or disorganization of memory and emotional distress (caused by one of or a combination of chemical imbalances in the brain and severe emotional distress related directly loss associated with brain injury). Scientists working in the field of neurology are discovering how we are able to change how the brain functions not only in children’s developing brains but also later in life or after injury. With advanced technology that is able to capture images of brain functions while performing various simple or complex tasks we can see exactly what’s happening in our brains when we are engaging in music therapy. Researchers at the Dana institute (according to the article cited below) are discovering that music functions use many of the same brain pathways as motor functions, speech and language processing functions and cognitive functions. Because of this, music therapists are able to participate, and be an important part of rehabilitation in individuals with brain injuries. Advanced brain scan technologies show that music is activating so many areas of the brain and music therapists have been able to design and create musical interventions that target specific functions and help to reshape and retrain brain injury victims to perform daily tasks. 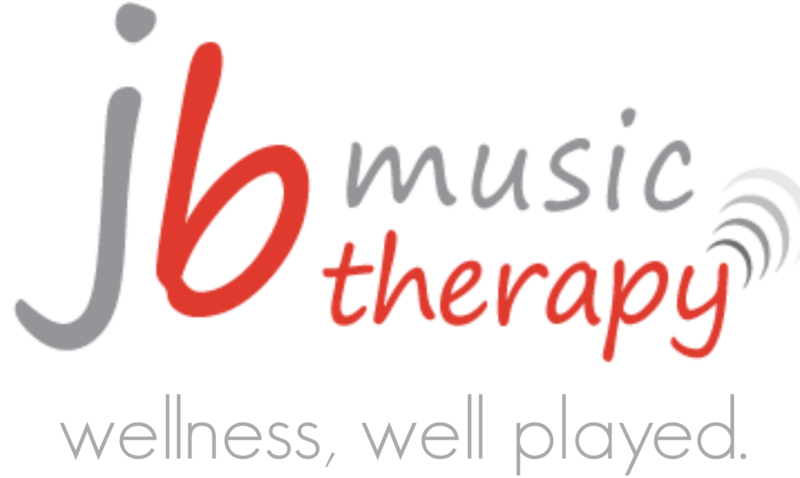 As a music therapist I have had the privilege to work with stroke and traumatic brain injury victims for the last few years in individual and group situations. I’ve seen remarkable improvements in clients in the areas of balance, fine and gross motor coordination, speech production, speech processing and memory recovery. I have also witnessed significant improvements in mood, increased hope and increased motivation. A brain injury is a cognitive and physical loss but victims also experience much grief. Music therapy not only targets rehabilitation of daily functions and retraining of the brain, but it can holistically address emotional, social and wellness needs of clients. Tears are shed, friendships formed, joys and excitement expressed all in the making of music, and rehabilitation on all fronts. The University of California, San Francisco (UCSF) is a leading university dedicated to promoting health worldwide through advanced biomedical research, graduate-level education in the life sciences and health professions, and excellence in patient care. Read this article to learn how they are researching music therapy and brain injury rehabilitation. The Brain That Changes Itself – Stories of personal triumph from the Frontiers of Brain Science – by Norman Doidge, M.D. Thanks Jennifer for the article and especially for the referrals to the sources, researchers. I would love one day to be able to really explore how music enabled me to be doing what I am now doing with my medical history. Andrea Curry did an amazing job compiling this data. I think there is a book in you Brian.